Cabinet members called for maximum efforts in achieving this year’s economic growth target of 5.8 percent in their August 27-28 meeting in Hanoi. 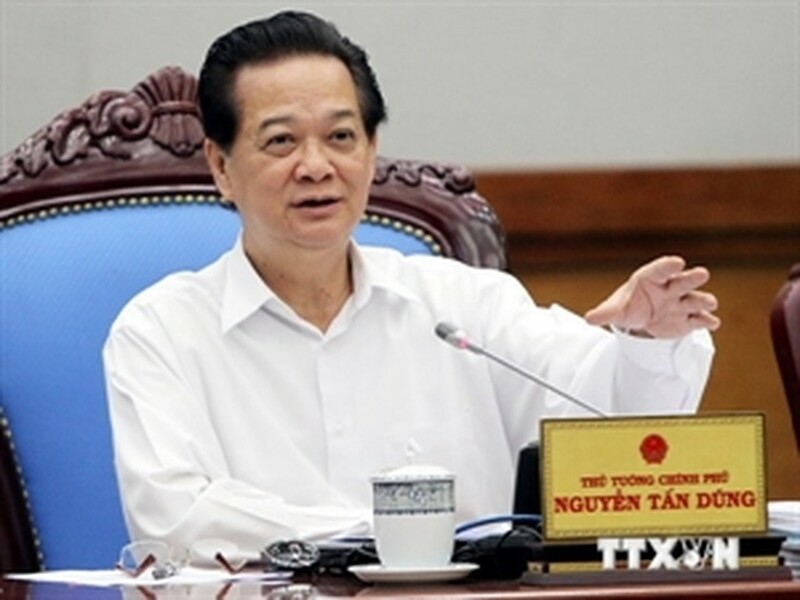 If the outstanding efforts continue, the targets for 2014 are within reach, Prime Minister Nguyen Tan Dung said during his closing speech. Barriers affecting growth in agriculture, industry and the services sector must be cleared, he said, demanding easier access to credit, the settlement of bad debts and acceleration of investment disbursement. Regarding economic restructuring, PM Dung gave priority to the restructuring of public investment, state-owned enterprises (SOEs), commercial banks and agriculture. Economic sectors will benefit from a package of incentives, including administrative reforms that will create a better business environment. Regarding social issues, the leader pushed for the extension of social welfare services to all people, a relief in hospital overcrowding, and sustainable poverty reduction in ethnic minority regions. He asked ministries and agencies to maintain political stability and social order, whilst stepping up external activities, all the while safeguarding national sovereignty. Looking to 2015’s socio-economic performance, the PM set targets of 6.2 percent for gross domestic growth, around 5 percent for inflation and the budget deficit, and 1.7-2 percent for household poverty reduction. In order to realise these objectives, cabinet members proposed developing the processing, support and mechanical industries and boosting high tech farming, as well as attracting more investments. Deputy PM Nguyen Xuan Phuc requested improvements to the management of budget accounts to avoid wastefulness, and a crackdown on counterfeits and transfer pricing. According to him, the restructuring of SOEs should be more radical, with the diversion of funds from areas proving to be inefficient, whilst national security and defence needed more funding.